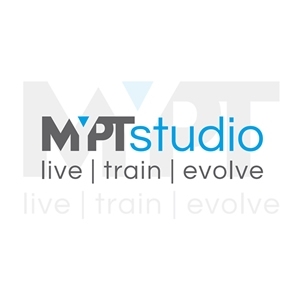 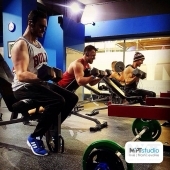 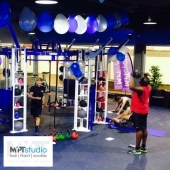 MyPT studio is in Croydon. 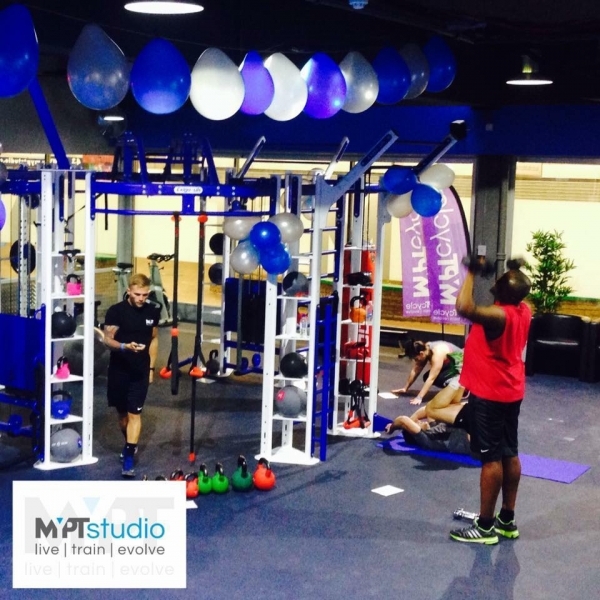 It is a state-of-the-art personal training studio, where the best exercise and nutrition experts from across the industry are on hand to educate, motivate and inspire clients towards better health. 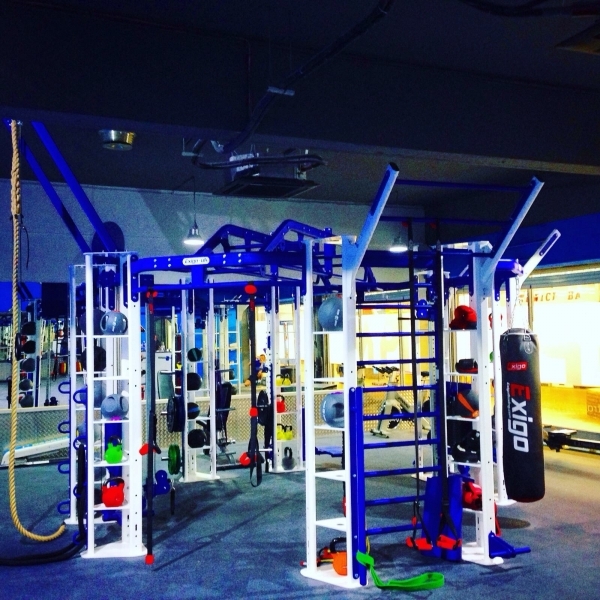 To plan, design and install 2 fitness zones within the new facility: Strength & Conditioning and Functional Training. 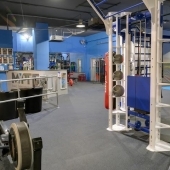 Working closely with Director Danny Wallace, we chose a selection of equipment and flooring to match both budget and requirements. 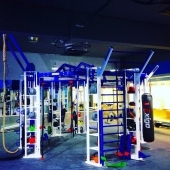 In the strength and conditioning area we created a multi-functional training space by selecting the following equipment: Gym Gear Sterling Series Half Racks, Inspire Fitness FID adjustable benches, Inspire Fitness FT1 Functional Trainer, Strength Equipment UK Olympic weight plates and a range of Olympic lifting bars from Jordan Fitness & Gym Gear. 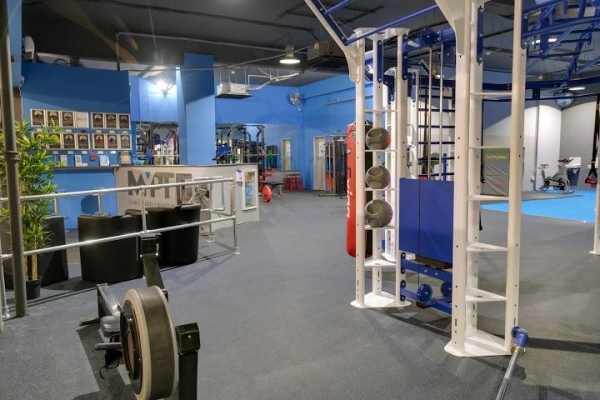 The studio area was equipped with a custom designed 8 column functional training rig, 10mm rubber flooring with grey/blue colour fleck to match the colour scheme, 10mm blue artificial grass with underlay and Gym Gear soft plyometric boxes. We added dumbbells, studio floors mats, medicine balls, gym balls, kettlebells, resistance bands, suspension training straps and power bags for functional training exercises.